The new international director of the famous guide, Gwendal Poullennec, had previously promised that the new edition would include “more young people, more women, and more diversity”, and the awards ceremony on Monday January 21 confirmed that promise. Three stars - the highest accolade available - were awarded to Laurent Petit, of the Clos des Sens restaurant in Annecy-le-Vieux; and Mauro Colagreco, of Mirazur in Menton. Both were congratulated for achieving three-star level at a relatively-young age; and Mr Colagreco even more so, for becoming the first foreign chef to be handed three stars in France. 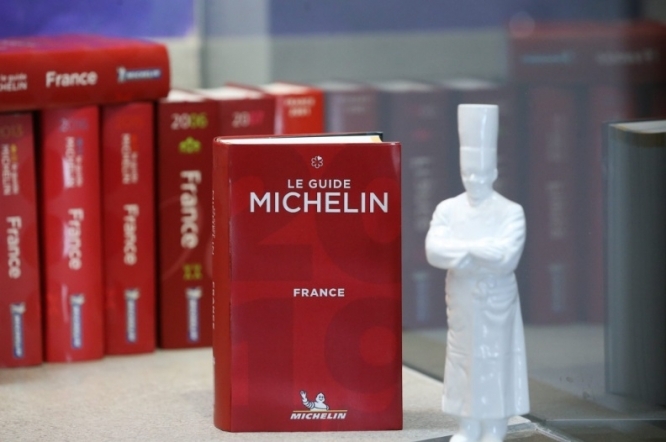 The two restaurants now join the small club of just 27 in France to be awarded three stars, of 127 total worldwide. This year’s guide also awarded new stars to more female-run restaurants than ever before, including Stéphanie Le Quellec, of La Scène in Paris (two stars); Amélie Darvas and Gaby Benicio, of Aponem in the Hérault; and Julia Sedefdjian of Baieta in Paris. Chiho Kanzaki of Virtus, and the pastry chef Ayumi Sygiyama at Accents in Paris, were also recognised. Many foreign chefs were awarded new one stars, including the Mexican chef Indra Carrillo, of La Condesa; the Brazilian chef Raphaël Rego of Oka; and no fewer than ten restaurants led by young Japanese chefs, of which eight are located in Paris: Ehr, Abri, Sola, Yoshinori, Automne, Accents, Virtus and Pilgrim. Other young chefs to have been awarded stars include David Toutain, from Paris; and Alexandre Mazzia, from Marseille. Yet, despite the new accolades for many, some restaurants were not so lucky. One star each was taken from L’Auberge de l’Ill, by Marc Haeberlin at Illhaeusern; L’Astrance by Pascal Barbot in Paris; and La Maison des Bois, by Marc Veyrat in Manigod; leaving them with “only” two stars apiece. Even more restaurants lost their second star, taking them down to one, including Carré des Feuillants by Alain Dutournier in Paris; Taillevent by David Bizet in Paris; and Oasis by Alain Montigny in Mandelieu-la-Napoule (Alpes-Maritimes, Provence-Alpes-Côte d'Azur). Many more sites lost their one star completely, in what has been termed a “shock” year for Michelin star deletions.